It’s been said that artists, like all creative people, draw from what they know in creating their artistic visions. This is particularly true for animator Charles “Chuck” M. Jones, who parlayed his experiences growing up with a quixotic father and an indulgent, supportive mother into a career that is virtually unparalleled for its influence and noteworthy output. Like many animators who emerged during the “Golden Age” of Hollywood animation, Jones was influenced by the work of pioneering cartoonist Winsor McCay. When McCay’s groundbreaking effort Gertie the Dinosaur premiered, Jones was two years old, soon to move from Washington to Los Angeles with his family as his father sought better business opportunities. 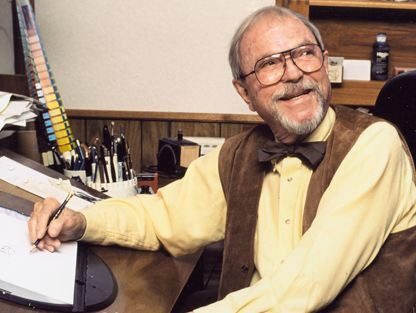 As recounted in the documentary Chuck Jones: Memories of Childhood (2009), Jones’ father founded–and lost–several businesses during Jones’ childhood, and with each closure, the Jones children were given massive amounts of company letterhead and pencils to use as they pleased. The children drew hundreds upon thousands of pictures over the years, an exercise that greatly prepared Jones for his later career. In the documentary, Jones also gives much credit for his creative development to his mother, a creative woman in her own right whom he says “would never criticize a drawing” and was endlessly encouraging of his abilities. Jones eventually attended and graduated from Chouinard Art Institute–a school that also saw such notable students as Mary Blair, Ollie Johnston, Bill Melendez, and Hollywood costume designer Edith Head (among many, many others) pass through its doors over the years. His ascent through the ranks of the animation elite started slowly, as he worked his way up from the bottom, one job at a time. After a brief stint as a commercial artist, Jones’ first “real” animation job, in 1931, was as a cel washer for recent Disney escapee Ub Iwerks, and he soon became the assistant animator for Grim Natwick (best known as the creator of Betty Boop for the Fleischer studio). It’s true that Jones’ best work took time to develop. His cartoons throughout the remainder of the 1930s and the early 40s are not particularly memorable, and not particularly funny. What could be called the Chuck Jones “ethos”–a mixture of energetic action, brilliant animation, and unexpected humor–first emerged in 1942’s The Dover Boys at Pimento University, a rowdy, satirical take on the popular Rover Boys series of children’s books. 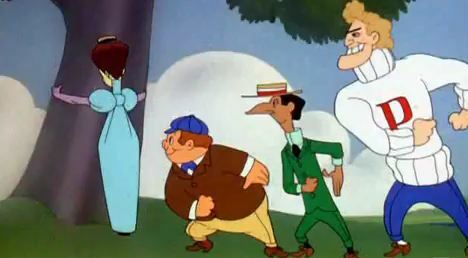 The unique animation style of this short–which is so vastly different from the typical Warner Bros. output that it reportedly almost got Jones fired–would later influence the artists behind the heavily stylized UPA cartoons (among them Mr. Magoo and Gerald McBoing-Boing) produced in the 1950s and beyond. The 1940s brought an important collaboration for Jones, when he teamed up with children’s author Dr. Seuss for a series of animated cartoons featuring a character named Private Snafu (the character itself was dreamed up by Hollywood director Frank Capra). These cartoons were created exclusively for the United States Army, which had quickly discovered that straightforward, live-action educational films were not very adept at holding the soldiers’ attention. The Private Snafu shorts were thereby devised as a way to engage soldiers and humorously educate them about the rules and regulations of service. The partnership between Seuss and Jones would be a prolific one; Jones eventually produced and directed the perennial holiday special How the Grinch Stole Christmas, based on Seuss’ popular book, in 1966. By the end of the 1940s, Jones had found his footing as an animator and director. Starting with 1948’s Scaredy Cat, featuring Sylvester and Porky, Jones produced an almost unbroken string of hit cartoons, featuring some of the most beloved shorts ever created. His 1949 Pepe Le Pew feature For Scent-imental Reasons was Jones’ first ‘toon to win the Academy Award for Best Animated Short Film. 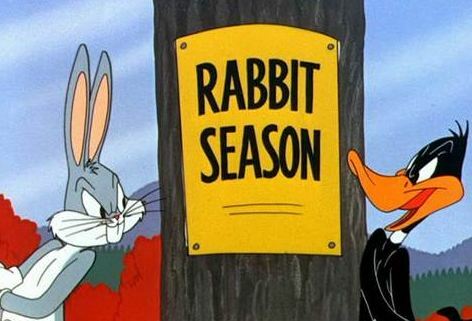 That same year, he introduced a newer take on the Daffy Duck character in The Scarlet Pumpernickel; Jones’ Daffy was less loopy and zany, and more fame-hungry, jealous, strident, and insistent, eventually forming a rivalry with the perpetually-popular Bugs Bunny that saw a hilarious trio of hunting-themed cartoons opposite Elmer Fudd in the 1950s (Rabbit Fire, Rabbit Seasoning, and Duck! Rabbit, Duck!). 1949 also saw the debut of one of animation’s most enduring cartoon pairings: that of the Roadrunner and Wile E. Coyote, in Fast and Furry-ous. The cartoon also featured the debut of one of the most legendary cartoon tropes–the Acme Corporation, which provides all of the gadgets that never seem to work quite right for the constantly-frustrated coyote. In Memories of Childhood, Jones explains that he named the infamous “Acme” company somewhat ironically after a childhood habit: “Whenever we played a game or we had a grocery store or something, we called it the ‘Acme Corporation.’ Why? Because, in the Yellow Pages, if you looked, say, under ‘drug stores,’ you’d find the first one would be Acme Drugs. Why? Because A-C was about as high as you could go. 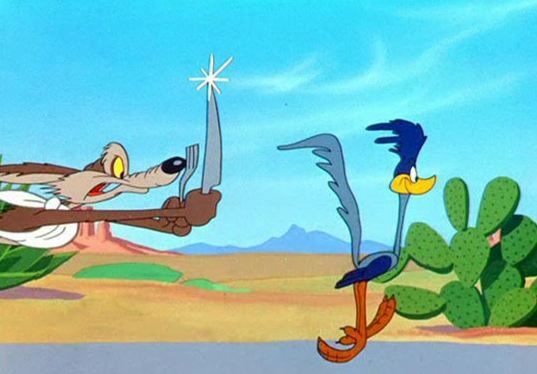 It means the best, the superlative.” In creating the dynamic between the carnivorous coyote and his would-be prey, Jones went so far as to craft a series of inviolate rules to maintain consistency with the characters–a list that included such tenets as preventing the Road Runner from actively harming the coyote and maintaining the setting of the Southwestern deserts. The 1950s were arguably the most successful decade of Jones’ career, as he directed almost two dozen cartoons during that period. Eight of these cartoons would eventually be voted to the 50 Greatest Cartoons list in 1994; four of them–What’s Opera, Doc; Duck Amuck; Duck Dodgers in the 24 1/2 Century; and One Froggy Evening–appear in the top five of that list. Jones is the most-represented animator on the list–with ten total entries, his work comprises a full TWENTY PERCENT of what is considered the “best” animation of all time. No other artist comes close. 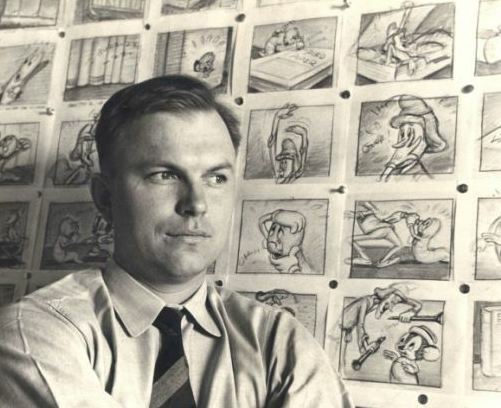 Jones was undoubtedly the biggest asset to the Warner Bros. animation empire, and he was locked into an exclusive contract with the studio. But in the early 1960s, Jones collaborated with animators from UPA to produce the feature Gay Purr-ee, which he co-wrote with his wife, Dorothy. Ironically, Warner Bros. won the distribution rights for the film; when Jones’ role in its production was discovered, his now-violated contract with the studio was terminated in 1962. The Warner Bros. animation department was shut down the following year. Jones subsequently formed his own animation studio, Sib Tower 12 Productions, and rehired his old unit from Warner Bros. (which has been disbanded after Jones was fired). 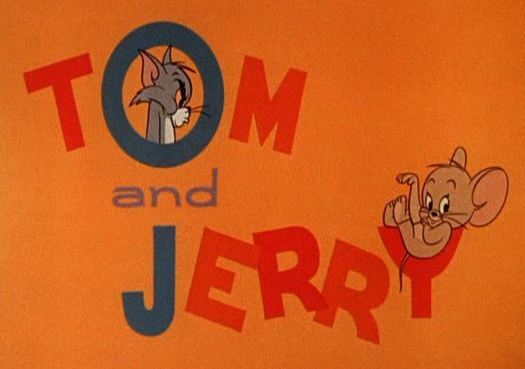 The studio was contracted to create new cartoons for the Tom and Jerry series for MGM; two years later, Jones’ studio was purchased outright by MGM and renamed MGM Animation/Visual Arts. Jones produced nearly three dozen Tom and Jerry shorts throughout the 1960s, and also created the Oscar-winning short The Dot and the Line: A Romance in Lower Mathematics in 1965 as well as MGM’s final animated short, 1967’s The Bear That Wasn’t, and the studio’s final animated feature, the 1970 adaptation of Norton Juster’s classic children’s book The Phantom Tollbooth (which mixed animation with live-action). The MGM animation studio was closed soon after that film’s release. 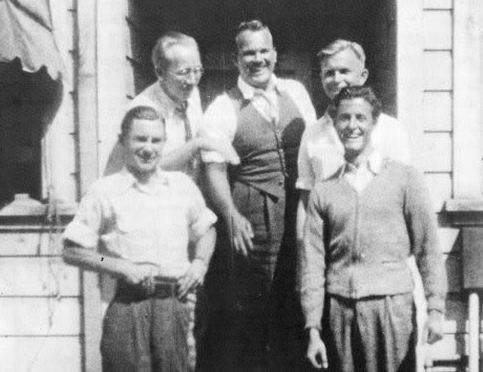 Again, Jones went the independent studio route; he formed his own company, Chuck Jones Productions, and continued to produce cartoons for television and film, including the 1979 compilation film The Bugs Bunny/Road Runner Movie, a couple of Raggedy Ann and Andy specials, and several animated adaptations of Rudyard Kipling’s work, including a memorable version of Rikki-Tikki-Tavi narrated by legendary actor Orson Welles. He even delved into comic strip work, creating and maintaining the comic Crawford for two years in the 70s. Chuck Jones’ road was one any person would love to travel, and through his cartoons, we get a little glimpse of what that journey must have been like for him. When Jones died ten years ago, he left behind a legacy of laughter and beauty, inventiveness and inspiration, that continues to touch us and, most importantly, to move us to gales of chuckles. And it will always be this way, because thankfully, there will never be a day when a Chuck Jones cartoon is anything less than thoroughly enjoyable. September 17, 2012 in animated shorts, animation, classic cartoons, pioneers of animation. Tags: chuck jones, dr. seuss, mgm, upa, warner bros.
I’m glad you posted those–I enjoyed seeing them! Great post on Chuck Jones, whose impact on animation is undeniable (the Warner cartoons were always the best ones!). However, I think it’s important to remember that Chuck and Fritz Freleng were supported by an incredible stable of story writers, art directors, etc. Chuck and Fritz get most of the credit–and rightly so–but it was a truly collaborative effort by an amazing Warner Bros. team. I agree, Rick, and I’m glad you mentioned what I neglected to in my post–it truly was a remarkable group of animators, musicians (especially Carl Stalling), writers, and crew–not to mention the incredible vocal work of people like Mel Blanc and June Foray–that really pulled these cartoons together with Chuck Jones! “One Froggy Evening” has always been one of my faves. Jones co-wrote the fabulous song “The Michigan Rag” – it was written specifically for this animated short. Wonderful profile of true genius. Jones was a big part of my childhood. I loved Tom & Jerry and of course Bugs. I thought his Tom & Jerry shorts were definitely among their best. Plus, that title card always made me smile (Tom’s spitting and hissing? Classic!). That is too, too cool! What a wonderful talent this man possessed, and what a wonderful life he had. I saw the documentary where he talked about his life and work, and he enjoyed it all. You’ve done a lovely tribute to him. Plus, you have answered a question I always wondered about when I was a kid — the Acme Corporation for the Roadrunner: “Because, in the Yellow Pages, if you looked, say, under ‘drug stores,’ you’d find the first one would be Acme Drugs. Why? Because A-C was about as high as you could go. It means the best, the superlative.” All I have to do is see the word Acme and I always laugh. Thanks for this really excellent article, Brandie. Wonderful words about a wonderful man. I think you’ve very beautifully encapsulated 70 years of a career into a few paragraphs. Well done. I know that my grandfather would have enjoyed your eloquence and appreciated your kind words. I will agree, and Chuck would have agreed as well, that his team of collaborators were paramount to his success. He would always credit Mike Maltese, Maurice Noble, Ken Harris, Lloyd Vaughn, Benny Washam, and the rest of those that were so good at what they did (as Chuck would say, he surrounded himself with people who did what they did better than he ever could). Chuck’s 100th birthday is on Friday this week. Such wonderful things are being remembered about his work, his influence, and his contribution to art. I agree with it all. But I remember Chuck for being a grandfather who knew how to make me feel special, important, and enjoyable to be around. He was always interested in what WE were doing. That, I believe, is a great gift. He lived what he spoke. Thank you for the wonderful read. Thank you so much for reading, and for the kind words. Your grandfather was such a wonderfully creative and inspiring person, and we are really enjoying writing about him and his brilliant career this week to honor his centenary! It’s fascinating to see hoe his style evolved during his Warner’s years. One of my favourites is Long Haired Hare, with Giovanni Jones (Oh Mr. jones!) and that’s at the start of what many consider his peak… Thanks for running this! Brandie, I absolutely loved your post! 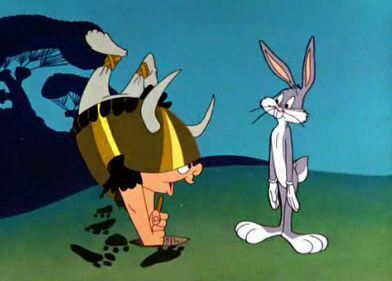 If Chuck Jones and his merry men weren’t the essence of animation and fun, I don’t know what is! You’ve given us a mighty rich treasure trove of info here. I loved your turns of phrase, too, such as your description of “cel washer for recent escapee Ub Iwerks.” Incidentally, rumor has it that Humphrey Bogart likes to hang out with the gang at Termite Terrace; whether it’s true or not, I get a kick out of imagining Bogie with all those lovable zanies! Bugs Bunny and Daffy Duck were instant faves with me from my early childhood, but THE DOVER BOYS AT PIMENTO UNIVERSITY (“Good old P.U. !”) was an early favorite of mine — so wonderfully nutzoid! I’d never known Dr. Seuss and Frank Capra had teamed up for the WW2 Private Snafu shorts! How cool — helpful, patriotic, and funny, all in one package! Bummer about the GAY PURR-EE mishegoss, as I rather liked it when I was a kid (with Robert Goulet singing, no less). You know, I always preferred the “loopy and zany” Daffy Duck to his later arrogant, “craven little coward” persona, though it certainly didn’t keep me from laughing out loud over the hilarious genre parodies with Bugs Bunny and/or Porky Pig deftly using Daffy as their foil, like THE SCARLET PUMPERNICKEL, or DEDUCE, YOU SAY. And where would the world’s eccentric inventors be without the Acme Corporation? 🙂 BRAVA on a great job, Brandie!